iMessage is a very reliable application in Apple devices. You can use iMessage on iPhones and Mac. But apple most definitely does not support iMessage on PC Windows. But here we have a hack for you, a guide on how you can use iMessage on your Windows PC. Because iMessage is not available for Windows or Android, for this hack to work you will need an iPhone Here is a list of things you will need, and why these are necessary. You are going to need an iPhone or iPad that is jailbroken. This is not going to work without jailbreak. Just because Apple has not yet released iMessage for android or Windows, a jailbreak is required. The next thing you are going to need is a Cydia Tweak that is called Remote Messages. This tweak is available for free. Now moving on to the process of making iMessages work on your Windows PC. Step number one is to purchase the Cydia Tweak on your iPhone. This Cydia Tweak is called Remote Messages. This CydiaTweak is available on the BigBoss Repository for $3.99. In Cydia, tap on the Sources button present in the bottom bar. Here you will have to add a Repository. Now tap on the “edit” button and press “Add” on the top left corner. 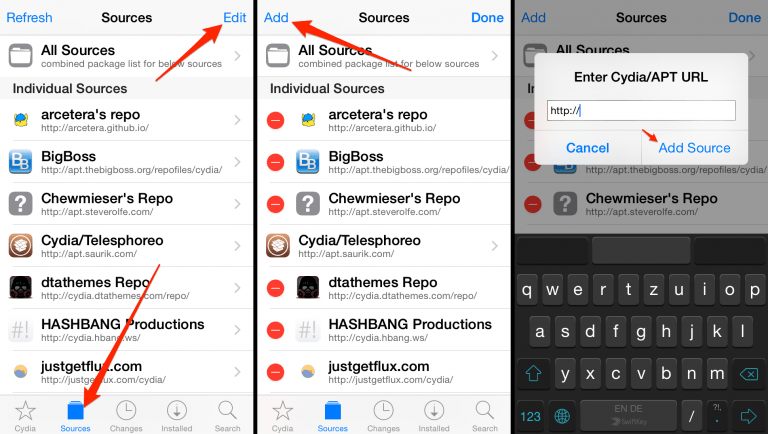 Now you have to tap on “Add URL” and let Cydia process. After a few seconds a button will appear with the text Return to Cydia. Tap on this. Press “done” on the right left corner and search for Remote Messages in Cydia. When this is installed, respring your iPhone. Wait for it to boot. Go to Settings now and find the option called “Remote Messages”. Tap on it. The screen that appears now is where you will enable and set access Settings to have iMessages on your PC. Enable the Remote Messages. Set the login details as per your choice and set up your password. As soon as you type this and enter this URL you will be asked for a username and password. Enter your username that you previously set before in the Remote Messages Settings. If you run into any Problems.Leave a comment below.